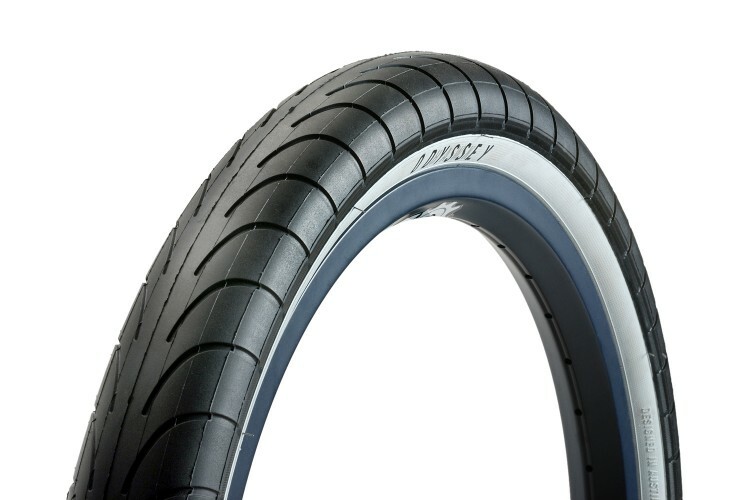 A 24″ Chase Hawk tire on the horizon? I’ve seen talk of this in a couple of places (the otxdesign instagram page and BMX Museum) but so far no official word. Is a 24″ version of Odyssey’s Chase Hawk tire in the pipeline? If the word on the street is to be believed, it looks like it’s going to happen. In the mean time, I guess we’ll have to sit tight until we hear about a release date. Pretty stoked to see this added into the assortment of high-end tires available for new school 24s. Glad to see Odyssey showin some love for the two four! We do need some better tires! It was confirmed to my by Odyssey product designer. 2.2″ is the only size at this time. Pretty sweet, hope they are not to heavy.